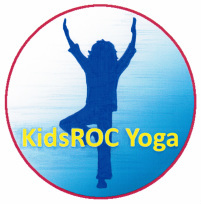 I provide a variety of yoga class options and staff training to fit your school’s needs. The Yoga Ed curriculum provides a foundation for each yoga class offered. My knowledge of child development and age appropriate teaching, mindfulness training and social emotional learning (SEL) allows me to further enhance my classes. Classes are tailored to fit a variety of age and skill levels as well as coordinate themes with your building's goals and Character Education Program or Positive Behavior Intervention Supports (PBIS). Yoga classes are tailored to specific ages and developmental level and can run from anywhere between 30 min. (for within the school day) to 60 min. (for a before or after school). 2 Week – Introduction to Yoga through PE program: A basic introduction to the elements of yoga – breathing techniques, poses, and visualization. The themes and goals for each grade level are tailored to fit your school’s character education (PBIS) program and/or other Building goals. Prices vary depending on number of classes taught each day. Before or After School Classes: Looking for ways to extend the school day? Yoga is a perfect option. Provide a full experience of yoga, games, and breathing and mindfulness techniques to your students. Use yoga classes for targeted populations of students who may need extra support building self-awareness, concentration or positive self-worth. Class length will vary depending on the age of the children and your school’s schedule. There is a minimum of 5 children and a maximum of 15 per class. There are options to break the classes into 6 week sessions or whatever number of classes fits your school calendar/schedule and child and parent needs. Prices vary depending on # of children participating and class length. Targeted Classes for Children with Special Needs: Special small group classes are offered for children with anxiety, ADHD, autism and other learning, communication and behavior challenges. Prices vary on group size and length.